Metro Manila is going to encounter what I call a Traffic Tragedy. This week work on the Skyway Project 3, which would connect South to North or vice versa, started already. People and the Philippine government are panicking, as they are anticipating the head ache inducing traffic congestion that would ensue, as construction will be starting soon, and some of the roads are being closed/narrowed to make way for the project. I do concur with the initial reaction of the public, but I would like to point out to the Philippine government, that there are a few avenues that can be explored, to lessen the impact of the major road projects that would last for 2 years or more. The government could revive the Pasig River Ferry Service, which would provide an alternative mode of transportation for the public, as long as the Pasig River is cleaned, so as not to hamper the operations of the ferry service, and also informal settlers along the Pasig River should be relocated, so as not to add to the pollution of the river. The ferry service could also be a tourist attraction likes the river or ferry services of European cities, if all of those mentioned before are met. Also the ferry service would be running smoothly as there is no traffic in the river passages, which would mean faster travel time for the public. Also the government could adapt what is already present in Europe, in developed cities, and even in our very own backyard. What I mean is the rent a bike program and bike paths in major cities overseas. This would provide alternative mode of transport and at the same time a healthy way to exercise for the public. Our very own Makati has a bike rental program in place already, which we can further enhance and replicate in Metro Manila cities. Also we can use the existing transport facilities we have, such as the PNR (Philippine National Railways) train which plies from Alabang to Tutuban, the LRT, and MRT. We just need to have it developed further, such as adding train service, frequency, and if possible add more carriages/cabins. There is also another alternative mode, which is popular in the United States, which is the carpooling. This would lessen the numbers of vehicles on the roads, and save more on fuel. In the U.S. the system works like this, in a neighborhood one person with a vehicle(car/van) picks up those who joined the carpool, and brings them to a certain location close to the working locations of those who joined the carpool. Each passenger either pitch in by paying for fuel, and other costs (parking, incidentals) incurred by the vehicle, during the duration of the carpooling, this is done on a monthly, weekly, daily basis, depending on the vehicles owners whim. This can be done either one way or roundtrip, based on the agreement that was made. There are various possibilities to explore. The only thing that would make it all work is through the cooperation of the government, and the public. Because if either one of them, does not do its part, then the whole system will not work, adding to more head aches for both parties. Grab-A-Cab, the futuristic way to call a cab! Have you experienced taking a cab? How about taking a cab at night time? Have had the experience of the cab dropping you in the wrong place, especially during ungodly hours? Have had the experience of the driver driving you around to jack up your fare? Have had the traumatic experience of being held up by the cab driver? Or having had the experience of leaving something important behind, like your laptop, phone, or passport? We have had one time in our lives, the unfortunate circumstances of having had experience one or all of those I mentioned above. These unfortunate experiences cause us undue inconvenience, cause us to lose money, and require time to report. Wished that something or someone could provide us a safer, easier, and convenient way to travel by cab? Well here in the Philippines, one company answered our prayers. That company is Grab-A-Cab, which can be visited at http://www.grab-a-cab.ph. It is the first company in the Philippines, to provide a safer, easier, and more convenient way to call a cab, and travel by it. With Grab-A-Cab’s proprietary technology, it can monitor which cab picks you up, get its information, such as the cab driver’s name, license plate number, where and when he picked you up, and what route it took to bring you to your destination. So in case you left something important in the cab, or you feel that the cab didn’t take the direct route, or the cab driver harassed or held you up, Grab-a-Cab can file a complaint report with the cab company management or police authorities, and/or take action in recovering your valuables, in the shortest possible time. Grab-A-Cab ensures your safety, convenience, and easiest way for you to travel by cab. It will also inform you by calling or sending you a Text/SMS (Short Messages System), informing you which cab will pick you up, such as the cab company’s name, the cab’s plate number, and approximately how long it will arrive to your pick up location. 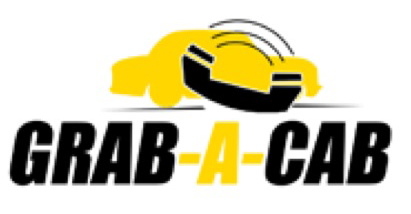 Grab-A-Cab is a free service for customers who wants to travel safely by cab. It is also accepting application from cab company operators, for its proprietary technology. For interested parties, drop us a visit at http://www.grab-a-cab.ph. Next time you want to travel safely by cab, call Grab-A-Cab, and it will handle the rest!